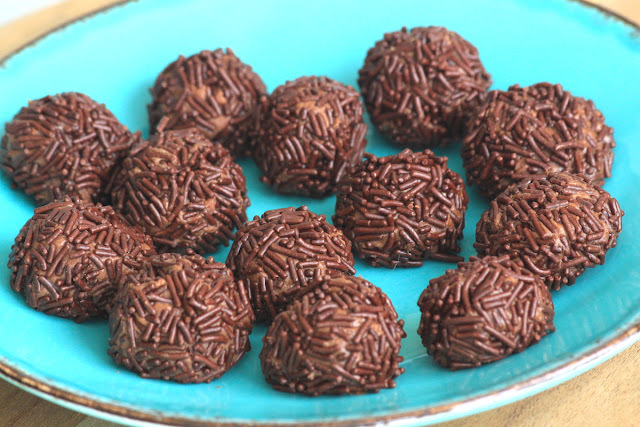 Brigadeiros used to be my favourite childhood treat. In Brazil they are a must in all birthday parties. I remember once me and my cousin took an entire tray to eat in a hidden room - but we were caught in time before we could finish the whole tray, with like 40+ balls. The original recipe is made with condensed milk + butter + cocoa powder, cooking in medium-low fire until it gets thicker. 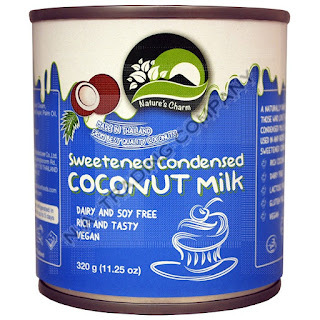 This version is made with condensed coconut milk - whoever came up with the idea to bring this product to the market is surely a genius! Bring the condensed coconut milk with the cocoa powder together in a sauce pan. Stir it well and bring it to a cook under a medium-low fire. Keep stirring it all the time to avoid it to stick to the bottom of the pan. Cook it until it gets thicker and it starts detaching from the bottom of the pan. It should take 5-7 minutes. 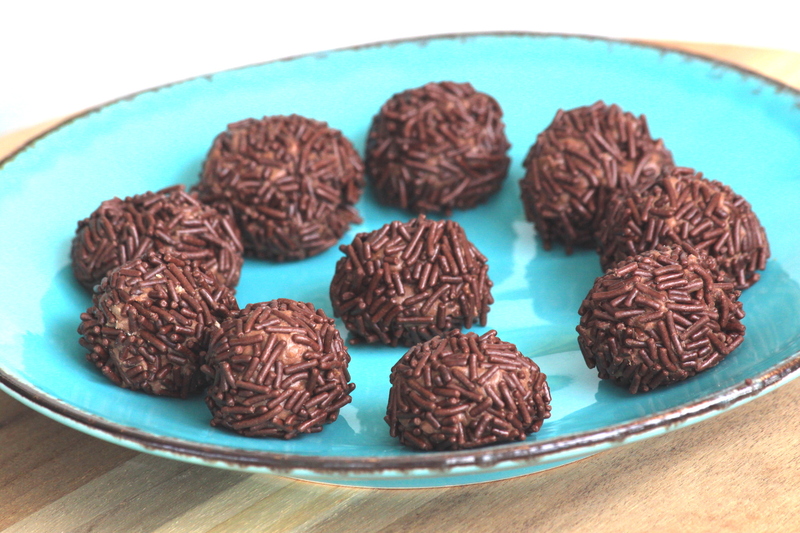 Form balls with the hands and roll them over dark chocolate sprinkles. It keeps well in a tuperware in the fridge for a couple of days. But that is not how I made the balls you see above. I did not want to get a pan all stuck with this chocolatish thingie plus I found the condensed coconut milk sweet enough. By cooking it I'd get it even more concentrated and therefore, sweeter, which I did not wish to. The original Brazilian version is indeed very very sweet. In order to get the ideal consistency for forming balls, I thought of adding some powders to it so that there would be no need for cooking. So what I did was to add rice protein powder (from Sunwarrior) to it and let it sit one night in the fridge. How much powder? It depends on which powders you use and of your personal taste. I added 5-6 tablespoons. Any readily edible powder will work, like coconut flour, any protein powder, psyllium husks, etc. Just don't add any flour that requires cooking, or that has a weird taste or that is not enough finely ground. Stir it well and make sure it gets less sticky. It should remain soft and creamy, not powdery. Instead of adding enough powder to make it not stick enough, I left it one night in the fridge to allow it to get harder. Next day I used two teaspoons (instead of my hands) to roll them into balls and dropped them over the sprinkles to finish the balls by hand. I used spoons because even though they were already in a good consistency, they remained soft (as I wanted). You can add more powder if you prefer, but the taste of the powder should certainly not overrule. Voilà. That's it. Enjoy your brigadeiros.